Heather Dessinger 190 Comments This post contains affiliate links. It’s Strange But True . . . Tipping at a restaurant in Iceland is considered an insult, camels have three eyelids, and what we thought we knew about L-acidophilus just might be all wrong. Okay, not ALL wrong, but what if certain probiotic strains sometimes can exacerbate chronic fatigue syndrome, autoimmune disorders and/or create brain fog and depression? I’m not talking about “die-off” or a healing crisis, where an individual gets worse before they get better. In this post, I’m going to share research that has caused me to conclude that sometimes probiotics themselves may be problematic. Let’s jump in with a little Probiotic 101, shall we? those that primarily produce D-lactic acid/D-lactate. L-Lactate, which is usually predominant in the body, is easily metabolized. For most people D-Lactate is not a problem, either, but in large amounts it may be difficult for those with impaired digestion to break down. This may be especially true for those who have difficulty digesting carbohydrates. Certain probiotics – especially L. acidophilus – are sometimes taken in huge quantities because they’re considered “safe in any amount.” However, L. acidophilus mainly produces D-lactic acid, and for those who cannot easily break this could create unintended consequences. D-lactic acidosis (or a sub-clinical form of the same) occurs when the body is unable to rid itself of D-lactic acid. Diet – especially a diet rich in carbs if an individual cannot digest them well – is considered by some to be the main factor behind acidosis. As we’ll discuss later on, though, there are studies which indicate probiotic use may also be a factor. Hmmm . . . fatigue and brain fog? Does this sound familiar to you? Basically, the idea is that it’s normal for some people to temporarily feel bad when introducing probiotics – the body working hard to clear a lot of junk out all at once! But what if that’s not what’s happening? D- lactic acidosis and die-off can have very similar symptoms so they could be easily confused. “Die-off” typically lasts 3-7 days according to some experts, so if it’s lasting longer than that it might be worth considering acidosis or another factor. Coleman and Blass in  were the first to link to bioenergy metabolism disturbances with ASD [autism spectrum disorder]. They reported lactic acidosis in four children with autism. Later, Laszlo et al. reported increased serotonin, lactic acid and pyruvate levels in children with autism. Lombard  then proposed that mitochondrial oxidative phosphorylation defects could cause abnormal brain metabolism in children with autism, leading to lactic acidosis and decreased serum carnitine levels. Ironically, both probiotics AND antibiotics are implicated in D-lactate acidosis. This study found that invasive infection from probiotic strains is rare but possible, though some actual infection rates may be under-reported due to misdiagnosis as “die-off.” In this study set, a little girl who had been given acidophilus from 4 months to 18 months began exhibiting “nervous shuddering, ticks, and OCD tendencies with greatly increased amounts of flatulence.” Lab tests indicated an overgrowth of L. acidophilus as the possible culprit. On the flipside, some D-lactic acid producing bacteria appear to be antibiotic resistant, which means they could survive a course of antibiotics which killed everything else. With the competition eliminated, D-lactate producing bacteria could theoretically gain a stronger hold. 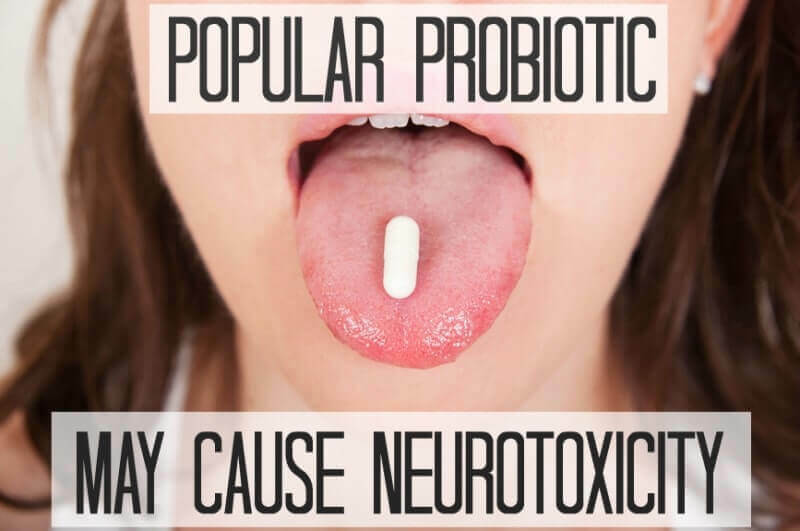 Studies indicating probiotic induced D-lactic acidosis + studies confirming neurotoxicity from D-Lactic acidosis = popular probiotic strains may induce neurotoxicity. Now just to tie up a few loose ends! I imagine some of you are wondering whether it’s worth it to continue taking probiotics. I’m not an expert, but I personally think they’re beneficial in many circumstances. The benefits of lactic acid producing bacteria (LAB’s) have been thoroughly documented, and research indicates that trying to eliminate them completely can negatively affect our inner-ecology in different ways. Should we rethink megadoses of L. acidophilus and monitor individuals with compromised digestion for signs of acidosis? I think so, especially in cases where people are working hard to heal and not seeing the results they expect. For me, the important thing to understand is that certain species of lactobacillus may be more compatible with our biology than others. Just about everyone easily clears L-lactate, so I buy probiotics that focus on strains which primarily produce this acid instead of D-lactate. If you don’t mind, I’ll respond to this question with a question: Have you ever heard of the Belly Button Biodiversity Project? Oh yes, it’s a real endeavor pioneered by scientists at North Carolina State University. Apparently, they’ve found 1,400 different distinct bacterial strains that live in the belly buttons of random volunteers – half of which have never been identified before! In a similar way, the diversity of beneficial bacteria that can be found in fermented foods is stunning. Some D-lactate may be present, but I wouldn’t miss out on all the other amazing strains they have to offer by worrying about it. That was A LOT of info! Please imagine me standing in my bathrobe, loudly applauding you for making it to the end of this post! Any questions? Disclaimer: These statements have not been evaluated by the FDA and cannot diagnose, treat, or cure any disease. Please see my full disclaimer here. how does one get rid of the LikeTweetPinIt overlay at the left of the screen? It is on top of the article’s left edge, and one can’t read through it…. Sage, the social buttons may overlap on square shaped screens or windows that are not opened to full-width, but should be positioned in the left column for full-width laptop screens. For viewing with a mobile phone, the buttons should be deactivated. Please let us know more about your screen/device/settings so we can determine the issue. Daniel, thanks for the explanation. I’m using a MacBook Retina Pro, Safari browser. The problem indeed was as you suggested–fullscreen moved the overlay to the left of the text. Ok, so I am not sure what I am doing wrong. This is a work computer, square PC monitor. It should be set to full screen, I have the google chrome window fully open. But till having this annoying bar. Please tell me how to make it go away! Thank you!! Automatically disabled or do I have to disable them? Happens on my iPad. Yes! How? This is so annoying and instrusive that I found it hard to do more than skim the article, and I’m left wondering what was that all about. I have a 21″ iMac screen, which should give plenty of space. Yes! The bar running vertically down the left of my screen is very irritating. I can’t read through it so am left reading the 4-5 inches at a time that show above the box. I am on a Dell, set to full screen, using Google Chrome as my current browser but experience the same issue using FireFox. The problem is that the rectangular box isn’t on the far left but is indented approximately 2 inches. I was just trying to figure out the same thing! I am on the GAPS intro diet and I feel great. Yes at first I had the die-offs but after five days I started feeling great and losing weight which I need to do. I will keep taking my bio kult because I know it is helping me. I did want to say that I only take half of the recommended dose because I just felt that the amount shown was to much. When I took my daughter to a naturopath for her extreme allergies he suggested we always rotate our supplements, even thought they work well. As in, finish a bottle and use something different for a time then come back to the other. He never explained WHY exactly but the more I learn, the more this makes sense to me. Kika, I have had the same experience, especially with my probiotics. I take one brand for two weeks or so and then switch to another brand for several weeks. It works well for me to do this with other supps as well, like Vit C, B vits and CoQ10. Apparently, your body gets tired of one type and needs variety just as it does if you eat the same foods day in and day out. Would you mind sharing the new probiotic you came across. It would be nice to interchange the BioKult I use with something else every now and then. It’s tough to find a good probiotic one can rely upon! Can you share the name of the new one you use? Can you please share the “better than BioKult” probiotic you are currently using? Bear in Mind, I’m asking this question a year later, its 2015 now. Well it’s Nov 2016 and i would like to know the name of this probiotic as well? Anything? it’s Jan 2017 and i would like to know the name of this probiotic too. Please!! I would like to know the name of this probiotic too. Please!! My son had reoccurring conjunctivitis. He also had an itchy nose and had staph in his nose. We got the infections to go away after a month!, but I was so worried because he was complaining of stomach upset and I then started him on Align probiotics for children. A week later he started having bizarre eye movements. It’s been a month now, and we’ve been to a pediatric neurologist and he is just explaining it as a tic that will eventually subside, hopefully. I feel like it was from what he went through with all of the medication (3 separate rounds of antibiotics). Wondering your thoughts? After reading how neurotoxicity may be induced from certain probiotic strands, can it be reversed after introducing less or more of certain other probiotics? Any advice help you can give would be greatly appreciated! STAY AWAY from PROZAC, especially for children! Hi, what was the other probiotic? I only know BioKult still in2018 as the best. But i just stopped few months ago as i didnt feel good for my stomach anymore. So it would be better to continue with something else and rotate than stop forever. This article helped a lot in understandin. Can I ever take probiotics w lacto-acidophilus again? I experienced acidosis from taking too many probiotics a few days ago and I have been alkalizing to get better. But I’m trying to clear a Candida over growth and I’m in need of probiotics :(. I guess what I’m wondering is, how can I lower the D-lactate from my system? OMG! WOW! so many things… I have been giving my infants probiotics since infancy despite being home birthed and on vaccinated because I received antibiotics during labor. First.. Natures Way Childrens Primadolpholis and now Klaire Labs Ther Biotic Infant. My youngest has always eaten GAPS and so when my oldest had a rough flare of eczema last Christmas we started intro. We are now halfway through February and she is now stuttering and covered in a staph rash from head to toe. Did I do this to her? We ate a very very clean WAP diet before GAPS. I finally through GAPS out the door two days ago because my daughter was getting so sick. Please can you tell me why you are researching this? What brought this up? Should we pull probiotics and stick to our ferments. We do yogurt, milk ad water kefir, carrots, radishes. lemonade, sourdough…the list goes on. Really in my heart I think food is the answer and not a bottle. I know you posted an article a while ago about ditching these and I did for a month till we started GAPS. I am so lost. Thank you so much for all your info. did you make it to the full GAPS diet? Sorry to hear about your children I hope you find the answers you are looking for. My youngest was full GAPS from the time she started eating at 9mo till into at 14mo till now. Now we are doing predominately GAPS with WAP thrown in. Balance is key I think. We raise our own animals and produce so really I am now too sure how they could be very toxic. they’ve had very healthy lives so far. this is one more thing to think about. Maybe look into the ALCAT test…it has done wonders for me. I was lucky and found a local provider so I could run it through insurance. I found a lot of foods on my list that are okay to eat on the GAPS diet but not okay for me. Leah, I can hear myself in some of your words and I am just so sorry for what you are going through. My daughter developed severe tooth decay around 14 months old despite a very strict WAP diet on my part. I was heartbroken, confused and filled with a sense of guilt. As it turns out the decay had nothing to do with our diet (it was caused by an undiagnosed lip-tie that trapped breastmilk near the top of her teeth), and we were eventually able to fully reverse it. I mention all that to say from one mother to another: do not lose hope! To answer some of your questions: I became curious about this topic recently after an acquaintance mentioned that a little girl had to take antibiotics to kill of an invasive strain of probiotics. I’d always been under the impression that “you can’t get too much of a good thing” when it comes to probiotic supplementation so I started looking into it. Though I cannot give advice regarding any specific situation, if it were me I might consider the lab test to rule out or confirm probiotic overgrowth as a possibility. It’s a blood test, which would be awfully hard for either of my little ones. It’s not something I’d take lightly, but I would consider it. Hugs to you, mama! so very curious. you’ve sent me searching for more answers. thanks again for your research. Hello my name is Jason from Michigan, I was taking probiotics for a few months and fatigue and headaches hit me like a freight train, I have been tested for everything under the sun they say there is nothing wrong, Does this test have a name? I have taken probiotics a few more times thinking it was die-off , then fatigue , back pain,rash , general ill feeling hits me everytime? The weird thing is,in the past , yogurt, kefir all that stuff never bothered me, just since I was taken it in high doses. Any help would be appreciated! I discovered my d lactate overgrowth (and sibo) by taking the urine organic acids test from Genova. You can also do it through Great Plains. I never would have found this out otherwise and would have kept with kefir and yogurt, which would have made it worse! Good luck! I have the same thing, what did you do to get rid of d lactate? I’m dealing with the exact same problem as you after one large dose of probiotics. I can’t even accidentally eat something fermented anymore, I end up in the hospital. All docs say I’m fine but I eat joint pain now randomly. Did you ever find out what it was?? It may be due to high histamine strains of probiotics. Google to make sure you’re taking strains that don’t produce histamine. It sounds like food sensitivities to me. Have you had her blood tested? Many of the “healthy” foods cause me to get horrible rashes. Any spices, kale, spinach, banana’s, cinnamon, high oxalate foods and so on irritate me. You should have a look at this book on allergies. I have about 50 million…this helped me to understand where they might come from a lot better! I’m also planning on healing my intestines with my diet and eventually my allergies should be better. Fingers crossed! Consider eliminating milk maybe? This is what caused severe eczema and other health issues in my little ones. It could also be any other undiagnosed food allergies — eggs? Nuts? Best of luck to you! Update: Turns out it was olive oil causing the rash not staph at all. It doesnt matter if its domestic, imported, organic. Olive oil like all the other veg oils cause her an awful rash. The stuttering stopped as quick as is started. I’m just a bypasser to this site, trying to continue learning as many others. But, I wanted to pass on some info I read recently. I did read that if a person has “Histamine Intolerances” and aren’t aware of this, they can run into problems following GAPS if they are eating alot of their meats that are leftover. The histamine levels in meats rise every day after cooking them. There are so many different types of GI issues that can cause people problems, so trying to nail that down first would be a good start. There are true allergies (anaphlaxic), oral allergies that can cause symptoms both in the mouth and stomach discomfort, malabsorption issues which are involved in many food intolerances, IBS, IBD, celiac disease, gluten sensitivity, and etc. There are some really good food intolerance apps out on the market that explain alot of this and list various foods that can trigger symptoms for people with intolerances/sensitivities and malabsorption issues which are very tough to nail down. Here’s one app that only costs $5.99 if you have a tablet or i-phone or other devise. It might help a person pick up on some of these things as all of this can be such a tangled mess, especially when trying to sort all of this out with a child because we “don’t” know how foods are making them feel unless they tell us, and they can’t always explain these things. http://www.baliza.de/en/apps/histamine.html‎ Here’s the app. Best wishes on your journey to help your family! Your poor daughter! I have always struggled with eczema. I tried the GAPS diet pretty consistently for about 18 months. When I was on the fermented cabbage (about 6 months), I had terrible burning rashes on my arms and scalp. I thought it was “die-off” so I kept going. I have later realized (with the help of a wonderful dermatologist) that I am extremely allergic to all cruciferous vegetables. I eat one bite and get a burning rash in about 15 minutes. My son had terrible eczema and staph on his skin. He was always itching. I knew about bleach baths but didn’t want to try them! My dermatologist convinced me to try them every other day (about 1/8 cup per bath). I also did vinegar baths on the days that I didn’t do bleach baths (about 4 cups of white vinegar per bath). I also used her wonderfully safe line of skincare and my little boy was clear and not itching constantly in about two weeks. There is more info on my link. I feel so much empathy for you. I attempted GAPS diet for my daughter and shortly after discovered that the diet does not address sensitivities to salicylates and amines which have a profound affect on the brain, causing issues with behaviour, tics, autistic tendencies. With probiotics, and careful attention to salicylates and amines, I found a miraculous improvement in my daughters behaviour. fedup.au is a great resource for addressing this. Kind regards. Hi there! I’m reading this in search of understanding for my family’s situation. I write only to say that we had no luck with Gaps and it made everything way worse, like ER bad. I stopped listening to everyone and learned what I could on my own and saw that we were experiencing a histamine issue that only aggravates digestion more and more. So if probiotics or fermented foods are given with a histamine intolerance, it gets worse. We had some minimal success with GutPro, but now we are seeing that all our progress we made is being undone by GutPro. What worked for us was a diet of low histamine foods, and to juice celery and offer fresh juice every morning before food. Probiotics work for some, and not others. Infant GutPro is formulated to be histamine reducing, but we continue to see issues. All roads lead to healing leaky gut in a way that doesn’t trigger histamine and the only way we’ve been able to move forward has been with celery juice. There are many blogs about it. We incorporate fresh parsley into our diet too as it is a natural histamine food. I hope this helps. What should you do if you think you have an overgrowth of good bacteria? Just stop taking the probiotic? I also can’t have dairy, therefore what other alternatives besides fermented foods and probiotics are there? And one more question – what is a good brand to take that doesn’t contain d-lactate? I know you sent a link, but I have a hard time sorting through them. I am now just realizing that the probiotic I take every day contains L. acidophilus DDS-1, B. longum (which contains over 5 billion active L. acidophilus DDS-1 and B. longum at the time of manufacture). It also contains 50 mg of Fructooligosaccharide (FOS). I wonder if I should switch? Be careful with FOS because both the FODMAP diet and SCD say it causes bacterial overgrowth. I read recently that people with SIBO react very badly to probiotics. I know probiotics make my symptoms worse. Biokult was pretty bad. SCD yogurt was good till I started having sinus pain and headaches from the milk. Bifidus have been implicated in worsening of symptoms. Fermented foods also have a bad effect on me generally. It seems like a catch 22 because how do you get the good bacteria in to take over/fight the bad bacteria if you can’t tolerate probiotics or fermented food?? Your post is really interesting and I agree with Heather, this is interesting but also perplexing! Our son has been on a BED diet (no sugar, no dairy, no carbs or starches) and a range of treatments for the last 7 months, seeking to find the root cause of chronic headaches (typically morning, started as 1-2/week – bad enough to miss school). He has just been treated for intestinal parasites (diatoemba fragilis and blastocystis hominis) after months of treatment for suspected candida. Overall he has been on low doses of probiotics through this entire time as he seemed to not tolerate the recommended levels. Sometimes taking just drops to control the “die off” of candida. Overall though his headaches have worsened – thought to be die off and then increased parasites from failed treatment. He has just started VSL3 again as the parasite treatment was heavy antibiotics .. but his headaches are getting worse. From a few blog posts, including yours, I’m suspecting he can’t tolerate any probiotics and perhaps we’ve made him worse all these months as all practicioners have said to support him with probiotics, even at low levels and not stop them .. I saw a post re: morning headaches with VSL – do you get headaches from probioitcs? I have a friend who changed her diet and never has headaches. She cannot eat meat. Any meat. In high school she had horrible headaches and saw many doctors. Finally one told her..No Meat. She eats everything else. All seafood, cheeses, breads, eggs, dairy. nuts, chocolate, ice cream and of course veggies and fruits. We make her salmon for Thanksgiving and a dressing with vegetable broth. She eats well and is incredibly healthy. No meat based gravy or soups for her either. Jen, I am not qualified to give medical advice, but other have reported either stopping probiotics to see if they feel better or switching to a probiotic that does not encourage D-lactate acidosis. Tomorrow I’ll be posting about a probiotic I like that does not contain any soy or dairy! Hi there does vsl3 promote D-lactate acidosis? Oh my goodness yes it does! VSL#3 almost killed me and I continue to be disabled because of it. I now suspect it has caused me an overgrowth of D-Lactate producing bacteria and I am in constant acidosis. I’m trying to find a practitioner who will hear me out and help me. My son was recently hospitalized and given massive doses of antibiotic. I asked the infectious disease doctor if we could give him probiotics while he was in the hospital and she said it was a good idea but she does not recommend it for those whose immune systems are compromised because they cannot even handle beneficial bacteria. I’ve read that in a few journals and I must say I find it a little perplexing. There are more bacterial cells than their are human cells in our bodies, so it’s not exactly as if we can just avoid coming into contact with bacteria. Especially in hospitals In hospitals, where contact with individuals carrying a variety of diseases is very likely, it seems like it would be good to balance out the exposure with some beneficial microbes. With that said, I know experts such as Dr. Campbell-McBbride recommend that immune-compromised individuals start with relatively slow doses and work up. I can’t say I fully understand the reasoning behind all this, but it is very interesting! If I look up something like my kefir or Viili yogurt, what words am I looking for? I mean, will it say d-lactic if it has that strand? Thanks for the info. I have a son I should be watching out for with this. Julie, I’d do it in two parts: first look up what strains of bacteria kefir and Viili yogurt are likely to contain, then look up whether those strains produce D-lactic or L-lactic acid. It is my understanding that all lactobacillus bacteria produce some D-lactic acid, and that seems to be okay for most people. The issue, best I can tell, is with people supplementing large amounts of L. acidophilus, which unlike many lactobacillus strains produces more D-lactate than L-lactate. In people with compromised digestion it may not take megadoses to have that effect, but fortunately there are formulas out there which do not contain L. acidophilus for cases like that. I’ll be posting about one of them tomorrow. My 2 year old has been having daily gas and diarrhea since we started converting to WAP 2 months ago. We think it may be the raw milk or coconut. We haven’t given him any raw milk in 3 days and he has not improved. I started giving him FloraBaby probiotics 2 weeks ago and they don’t seem to have helped either. Should I stop the probiotic? I just don’t know what to do. Next I guess we will eliminate coconut. The only other thing I can think of is the FCLO, but I hate the idea of taking that away from him. FloraBaby has B. breve, L. Rhamnosus, B. bifidum, B. infantis, and B. longum. I stopped my 2 year old’s probiotics yesterday. Here’s to hoping it helps. This is so interesting! Am forwarding it to my daughter. Thanks so much for all your research, Heather. Timely posting for me as I have been suffering many of the symptoms you described above, along with debilitating muscle pain and cramps whenever I take probiotics or eat food with them like yogurt, cultured vegetables, etc. I used to eat these without issue until last year. That was also when I was cleared to eat wheat and gluten again, so I’m wondering if the re-introduction of carbs such as those to my diet helped trigger this reaction. I have purchased the gut-pro brand probiotics and have just started them. Guess I should cut out the gluten again also, sigh. So hard as I work many hours and have lots on my plate right now, but being in an anxious fog and in terrible pain certainly doesn’t help that! Thanks for the posting, my doctors think I am nuts to attribute my symptoms to the probiotics, its nice to have a name to link to the condition. 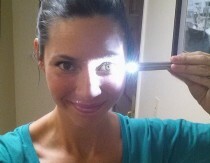 Tina – First, I am not a doctor, but I wanted to share my personal experience with you. I also get similar symptoms as described above and they are totally from gluten. I have Hoshimoto’s Hypothyroid (it’s like leaky gut) and when I stay away from gluten life is rosy. After 2 years of reducing my gluten intake, I find that when I DO eat it again, I get a ton of gas, migraines, fatigue and horridly dry scaley skin with rashy patches on my lower legs. If you are gluten sensitive, and stopped and started again, you might just try taking it out completely and see if it fixes your symptoms. In my case, restarting gluten cause much more severe reactions than when I was first diagnosed with the problem. I’ve started drinking kombucha for the femented benfits and have notice a definate improvement in my skin and energy….I plan to move on to fermented veggies soon too in order to get the variety of probiotics…plus it is a fun way to get my son involved and interested. Good luck to you! Hello, just wondering if Baby Biotics is in the L-lactate category. I didn’t see it in the link provided & thought maybe you’d know since you’ve used it. Thanks! In other words you do NOT want this one if you’re sensitive to acidosis? In another comment you made said if that’s the case you want more d than l. Is that correct? Making sure I have this straight. Which probi do you recommend? I have tried D-lactate free FROM Custom Probiotics because of histamine intolerance and gave myself SIBO/disbyoisis. (I don’t have a colon mite have contributed) I started on Nutra West Total Probiotics about a two weeks ago but am experiencing acidosis from it now…(l. Acidophilus 400 mill cfu the rest of the lacto bacteria contain 200 and 100 mill cfu) I react to everything. I am trying to heal leaky gut hitting every pot hole and bump in the road. A recommendation to prevent acidosis would be greatly greatly appreciated. Custom Probiotics in California produces and sells a D-lactate free probiotic powder that I started giving to my son when he was four months old. It has worked very well for us. thanks for this valuable info…we take probiotics daily. can you break it down a little more for me though? what exactly am I look for on the back of my probiotics bottle VS what am I not looking for? i have 2 kinds and neither of them say “L-Lactate” or “D-Lactate”. Am I missing something? I’m newer to the world of probiotics. Thanks! Also, I’m also having issues with that social media menu thing…I’m on an ordinary laptop and it’s right in the way of the article…I can only view a paragraph at a time and have to scroll to see the next one. Is there any way to disable this? Yes, I’d also like to understand how to know if the strains in our probiotics are good ones to use or not. I’m using Custom Probiotics and giving my baby HMF Natogen by Genestra. All LAB”s produce both L-Lactate and D-lactate, so I personally wouldn’t look for a “D-lactate free” supplement. That would mean eliminating all LAB’s together if I understand correctly. Instead, I think it might benefit those who experience a sensitivity to some probiotics to consider one that does not have strains which produce more D-lactate than L-lactate (namely L. acidophilus). This is probably only needed for a very small subset of people, but it’s worth knowing nonetheless! Interesting. When I have the extra money for probiotics, I take one with 12 different strains and soil organisms. I feel that helps. I’m not covered for unusual testing like this. If I could afford it, my regular doctor wouldn’t authorize it. I’m moved to learn more about acidosis in general, but not convinced that using acidophilus is a high risk for it given the small amount of evidence here. I’m wondering if there could be other reasons for D-lacate acidosis in addition to acidophilus and antibiotics. I started giving my son, who is 7, Garden of life probiotics in December. It contains L-acidophilus and a few other strains. He has been off dairy since he was 4 because he had eczema. This probiotic is dairy free so I thought it would be safe for him. I started him off on a low dose. He immediately broke out with eczema for the first time in years. I kept giving it to him thinking his body was experiencing die off. The eczema finally went away about a month ago. But in the last few months he has been more moody and agitated. He has been extremely cranky on and off. Lots of anger. I kept pushing through and kept increasing the dose little by little to achieve the 5 million daily cultures. After reading this I am scared that he is experiencing acidosis. Is there anyway to test him for this? I feel horrible that I was trying to help his system and might have made it worse. If I stop the probiotics will his system heal? Any helpful advice would be appreciated. Hi Jennifer, I am not a medical professional so I wouldn’t dare answer your last question, but I believe there is a lab test that can either rule out or confirm D-lactic acidosis. Hugs, mama! Hi there – I came across this post because I was looking up on garden of life probiotics for kids. I purchased them for my dairy free kids because its supposed to be dairy free. I took them myself as I am dairy free as well and wanted to see if I had a reaction. The thing that stood out to me about your post was the anger. In the three days that I took them, I was incredibly angry! I stopped taking them and all is well. Im thinking that even though it says dairy free on the label, the strains were grown and fed off of dairy and that could have been what caused the anger reaction. Suffice it to say, my kids are not getting this and Im taking it back to the store. – I also would like to add that my first reaction to dairy is anger. Then comes the excema and the stomach problems. But for some strange reason, I get very agitated and angry first. I have experienced the same thing. My son with controlled eczema (for 2 years) suddenly broke out in eczema and seemed more agitated and couldn’t sleep after several attempts over a year period to introduce “allergy-safe” probiotics of various brands. He also suffers from asthma and food allergies. I am in the process of trying a D-Lactate free probiotic from Custom Probiotics. Will let you know how it goes! Hello Heather, Love your posts – thanks! Fermented foods rock, in terms of multi-strain probiotics, enzymes and nutrient status – totally agree. I do have a question about the lactic acid build up from taking large doses of L. acidophillus. Do you think that high intestinal levels of lactic acid translate to high blood levels of acidosis… not sure. I”ll have to look this up, let me know if i’ve missed the reference or if you find one. Thanks again. Awesome! I was just standing in the organic store, staring at the dizzying array of probiotics, and asking myself many questions you addressed. It seems to me that probiotics have exploded in popularity, and is the latest thing to potentially be contaminated by junk science and food marketing. I started using yogurt, kefir and fermented foods as medicine before I ever had much exposure to the uses and benefits of probiotics, and agree with an earlier post that food has seemed to me a better source for all things touted as healthy. Basically, I’d rather consume tasty (and cheap!) homemade kefir and kim chi than spend 30 bucks a bottle for something that might be amazing as a health booster but doesn’t fulfill the purposes of tickling my tastebuds and filling my belly as well. 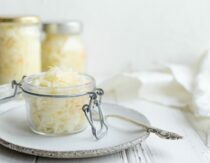 From my experience, fermented foods contain a balanced community of thousands of different kinds of microbes, and that balance keeps certain microbes that may be dangerous in isolation more in check. Plus I can easily smell when my kefir is out of balance, and I don’t (can’t stand to) drink it until I “freshen” it w/ subsequent brews. Again, I have little experience with probiotics: maybe food sources of beneficial bacteria are just not sufficient for those experiencing more serious health issues. Thanks for the geek speak! I just started my son who is 7 on Garden of Life Probiotics for children in december. He had ezcema when he was little and we took him off of dairy when he was 4. This probiotic is dairy, gluten and vegan but it does contain acidophilus . I started him off on a low dose and have been increasing it every few weeks to finally achieve the suggested dose. When first taking he experienced bad breakout of eczema. I thought it was due to die off. Ever since taking the probiotics he has been moody and irritable. Lots of anger. Could this be die off since increasing dosage? It has been going on and off for a few months. I just kept sticking it out and giving him the probiotics. The eczema finally went away about a month ago. After reading this post I am concerned that maybe his symptoms are more than die off. Is there a test that his pediatrician can do to see if it is acidosis? Is anger a symptom of acidosis? I feel horrible trying to help his system with probiotics if they could have harmed his system. I do not know if I should keep giving him the probiotics. Any help is appreciated. Good to hear that Bio-Kult is safe! I am currently on the GAPS diet, but my practitioner recommended taking Prescript Assist. I am only on Prescript Assist now since it is too expensive to do both probiotics! Oh…my head is spinning!! I have a 20 mo old with eczema that just won’t go away. She has had a dairy issue since birth and I know she gets a little bit in snacks and things at school. But I feel like there is something else that I am missing. I have an appointment in the morning to have her muscle tested for other possible food allergies/intolerances. I have been giving her a little higher dose than normal of probiotics (Garden of Life Raw and now Udo’s Choice Infant) to build up her immunity due to 2 rounds of strep and the flu over the past 2 months. Wondering if this new info could be of some relevance???? Would a pediatrician do the blood test? I’m not sure if a pedi would, Bianca, but it doesn’t hurt to ask! GREAT POST! My daughter, who has PANDAS, regressed TERRIBLY on Renew Life Probiotics. HUGE regression. There is something to this. THANK YOU for posting. People thought I was coo coo for saying that maybe, perhaps, probiotics COULD cause “symptoms” vs “heal” in SOME people. So I am really confused. Can someone break it down for me — if my kid has food allergies (peanuts, tree nuts, sesame), so we have to be EXTREMELY careful about anything he ingests, but he also has had several PANDAS episodes (strep negative, but all other symptoms there, treated with antibiotics so probiotics recommended) and we have been taking Nature Made kids probiotics from the refriegerated section of Whole Foods — then what SHOULD I be giving him in terms of probiotics? A brand name? I would go for the Organic GUTzyme, but I can’t tell if this site is legitimate or just trying to sell me something that could potentially be unsafe for my child. Jeni Clark, a poster, mentioned that her child had PANDAS — Jeni, what probiotic are you using? Reading your article led me to order a bottle of GutPro. Have been using it for 15 days now. I’m wondering if you or one of your children have been taking it regularly, and what results you’ve had. Hearing from someone else who is using this would be helpful as I’m not coming across reviews when I search for them. Thanks for researching, learning and sharing. My daughter had terrible eczema for a year now but ever since I started giving her Garden of Life probiotics for kids her eczema has gotten much better! Instead of applying prescription cream twice a day I only need to apply once a week! I also take garden of Life for women and have lost 20 lbs and feel younger! It’s working for us. Hhmmmm, I am wondering now. The moment we statutes taking a very small dose of Biokult we had these crazy symptoms I thought were die off. 2 weeks later, I had 4 of 6 family members with pneumonia! We still have it in our system over a year later and I have no idea how to get rid of it naturally. Our doctor, who is alternative, says the only way is with antibiotics, but I have severe depression which increases with antibiotics and cannot tolerate them at all. Would this in any way be a possibility that those events are related you think? This was a great post Heather! It seems to me that getting our beneficial bacteria from fermented and cultured foods is the first choice. I know that’s not always possible due to so many people having many different food intolerances. That being the case… I’d think going for a probiotic that is multi-strained is the next best option. It’s just like medications and herbs. Many times medications are based off of one compound from a plant (like Asprin and White Willow Bark), and only being exposed to that one compound causes side effects from the med. But, when you use an herb (the whole plant), you’re getting all the compounds of the plant which help you to not have the side effects. Perhaps getting a variety of beneficial bacteria helps our bodies to do what they were meant to do, and overloading them with only one strain causes problems because it was meant to have many different strains. Those are my thoughts at least. This is definitely not something I’ve researched so thank you so much for bringing it to my attention! Thank you for researching and posting about this. It is an important topic. Heather, you’d recently mentioned the title of a book that helped you begin GAPS in an organized way. Wondering if you could repeat the title here. I agree that isolated probiotic strains are similar to taking antibiotics. There are other variables to probiotic reactions beyond just “die-off”. When candida is killed off, for instance, it often releases bound mercury which could have the neurotoxic symptomology that is mentioned. Additionally, as more toxins are circulating, nutrients become more depleted. Nutrient deficiencies can have symptomatic effects similarly. Immunocompromised people often have received boatloads of antibiotics so making any type of assumptions about “normal” or “ASD” guts is on a continuum with theirs being mega-compromised. The medical system does not know what is normal bacteria in the gut or stool. So, measuring anyone’s stool microbials compared to “normal” is just guessing. As the Belly Button Project indicates, science doesn’t know much about “normal” microbial inhabitants in or on the body. Just wanted to add to those wondering about biokult specifically, that many people have had bad experiences with it, and it should be stopped if/when adverse symptoms arise, there something unbalanced about the flora it contains which causes so many people to have problems with. It took me months to get well again after a couple of weeks on biokult, my best experience has been with vsl-3 (and yes, I do know that different people react differently to different strains, but so many people have problems with biokult that I would be careful with it). I myself have stopped all probiotics a year ago, and all ferments too, I feel so much better now, I do believe that people started fermenting originally out of necessity, and were healthy despite eating ferments, and not the other way around, this is a huge mistake on behalf of WAPF, and also one of the top reasons people on WAPF often stay obese and have lots of inflammation. The amount WAPF people eat ferments is astounding, and often times not healthy. Not looking for cries from WAPF believers, defending their holy ferments 🙂 Just wanted to add another perspective, WAPF times were the most unhealthy for me, and seriously, when looking at the people eating that way, there doesn’t seem much glowing health to be had there for many, and people seem to have developed the emperor’s new clothes syndrome with it. Wow! Interesting perspective on WAPFers! Painting a bit of a broad generalization in my opinion, but I get your point. I’ve incorporated many aspects of WAPF into my lifestyle with success, but don’t reside 100% in that camp. I think, with any dietary philosophy, it comes down to bio-individuality. For example, much as I wanted to drink kefir, it gives me HORRIBLE indigestion (typically do not have a problem with dairy). On the other hand, I really enjoy some well-prepared kimchi now and then. Dave Asprey (the Bulletproof Executive) had made a few comments on his blog that indiscriminate use of probiotics wasn’t necessarily a good idea due to the competing nature of them with your established good gut-bacteria. This article further supports that, and I’ll enjoy poking around the references listed. Does anyone have any experience with Goodbelly+ probiotic multivitamin drink? It contains Lactobacillus Plantarum299v. It was recommended to me when my son had a stomach bug and for his eczema. So I am a lactation consult & I have a mama who has suffered with a yeast imbalance from the begginning. Being the FAB girl he is she has stuck it out a yr, with TONS of diet changes, etc. no avail, yeast! pain! etc. I always recomend a mama with recurring yeast to do a good probiotic, USUALLY, that helps…in this case it DIDN’T?! I wonder if this could be an underlying cause for her?? I know this is a very late response, but hopefully it might help someone out there. I suffered a long time with yeast rashes and infections until I was diagnosed with Pernicious Anemia. As soon as I started getting B12 injections on a weekly basis and got my levels back to normal the problem stopped. There is a definite connection between yeast and B vitamins. Get your levels checked and consider a good B-Complex and/or B12 injections. If you intake fermented foods, drinks then there is no need to take supplements. Go on a paleo lifestyle or clean-noninflammatory foods lifestyle and recover from so much intake of all that extra bacteria you just injested and now suffering. too much is too much there’s going to be complications. Go easy. 🙂 cheers! HI Heather! I am so glad you wrote about this today. I was just diagnosed with Leaky Gut this Friday and the Dr. told me to NOT eat any fermented foods and It is killing me! I can’t even have my Coco Kefir which was a special treat for me. I am trying to figure out the best balance in the whole thing because, for a while all fermented foods helped and now, I just don’t know what to eat anymore. I am off Gluten, soy, corn, dairy, nuts, sugar and my probiotics but now my tummy hurts. That seems counter-intuitive to me. I am on a special protocol and it includes Probiotics in a powder form and I am sure it has lactobacillus acidophilus. I read the whole article but still a bit confused. Elisa, you might want to discuss this article with your doctor. 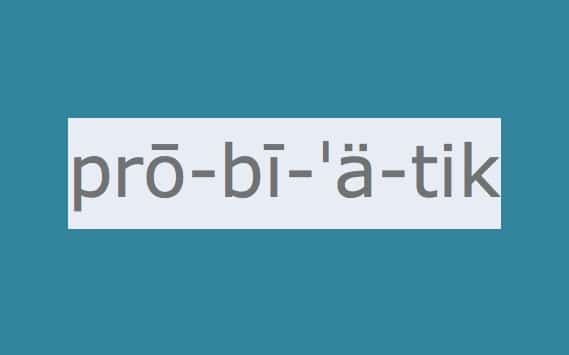 I am hosting a giveaway right now for the probiobic I give to my family here. Might be something you want to ask him about too! My son was diagnosed today with D-lactate acidosis. He was on Florastor for a few weeks. It caused him so many problems including being so confused, they lost him at school 6-7 times. We’re starting the antibiotic Flagyl tonight. Hope it helps! So are we leery of probiotics that simply *contain* L. acidophilus, or those which are primarily comprised of it? A holistic MD just recommended Garden of Life’s RAW probiotic to me this evening, and L. acidophilus is near the top of the list in the probiotic blend. I had been hoping to find an alternative to Bio-Kult while on GAPS, as the therapeutic dose is a whoppin’ 10 capsules a day, which puts me at a $40 pack every 12 days for 6 months. YOWZA. Garden of Life offers a higher concentration of microorganisms per capsule (appealing! ), but my husband was quick to remind me of your article here 🙂 when I came home with the recommendation! With its 85 billion CFU, and such a large variety of probiotics in the blend, would you be leery here? Thanks so much. The last thing on earth I want to do on my GAPS healing track is to compromise my health — that, or render my labors ineffective by not going through the proper probiotic therapy! Oh yeah, or break the bank. :> I know you’re not a medical professional 🙂 but I’d just love to hear what a Mommypotamus would do! Cheers! Heather! Any idea if this stuff is a safe probiotic? May I ask how you handled the probiotic situation in your own GAPS experience?? Getting ready to read up on your *traveling with GAPS* info for our busy summer ahead! 😀 Thanks a bunch for your great help! 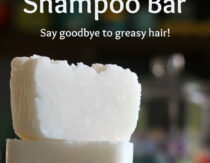 I know the guys that started this company and I have used their products for several years. I currently am using a different probiotic but will switch back when this is gone (I tend to rotate between a few brands) and I love their yeastbiotic product too. Lisa, I have GUTPro in my fridge right now. Great brand! I’ve tried Custom Probiotics for Dysbiosis and Malabsorption. Taking one capsule/day for two days caused all the symptoms you mentioned above and I was confused as well if it was “die-off”, too high of a dosage, or too much l-acidophilus. I am thinking about switching to GutPro. Any suggestions? Are there any other names for D-Lactate that we could be aware of and perhaps exclude probiotics with this particular strain? Thanks for such an informative post! I would definitely advise anyone who’s thinking about taking probiotics (or any supplements, for that matter) to go see a nutritionist who is qualified to recommend supplements for your specific situation. The only kind I trust has the certification of CNS (Certified Nutrition Specialist) and preferably is also a PhD. Not all nutrition certifications require as intense a study of supplements as this one does. So is Culturelle for kids safe? This is such great information and surely will help solve a mystery for many people (sounds like it already has)! Thanks for writing it (and for your fun writing style). Ironically, the purpose of the article is to defend the use of D-lactic acid producing bacteria in infant formula……. Thank you for this article; so interesting! I did the biofilm protocol this summer and herxed for 3 months. It was ridiculous. Love your work and so happy to have found you! Love this information. My own experience with acidophilus, milk free, basic stuff was that I came close to having seizures on it. It was profoundly scary and it took me months to figure out what was causing it. I stopped the acidophilus and the issue totally stopped. I do fermented foods and am not bothered at all, in fact, I am greatly helped. I will never do acidophius pills again. Way too frightening to be on the verge of seizure for ten minutes or so. Fortunately, I knew that L Taurine quiets the brain so I took that and stopped the whole process. Otherwise I’m pretty sure I wouild have seized. Thanks for getting this info out for others. “Contains 4 strains of natural, beneficial bacteria…10 mg. of Bifidobacterium infantis…SD-5845 of Bifidobacterium infantis strain…15 mg. of Probiotic Blend/B. lactis, B. longum, B. bifidum…Total live probiotic cells when manufactured is 5-billion. I just want to make sure this is reasonable. Any input appreciated. Lots of useful information there. Check the categories on the right (of the blog) for the subject of your concern. Following the recommended aproach for my sister’s critical condition literally saved her life! Any comment on use of Klaire labs Infant probiotics for a 100% formula fed preemie who is feeding by bottle well now but not term yet (4 more weeks to get to 40 weeks)? Any suggestions or help welcome. I suffer CFS with gut problems, including overgrowth of D-lactacte producing bacteria with associated neurological symptoms. I have been on probiotics for a long time with little or no help and feel they possibly made my neurological symptoms worse. Have tried kefir but body can’t tolerate it – get muscle and joint pain, clicking and stiff joints, headaches, acidic gut and neurological symptoms worsen. It seems kefir is normally very well tolerated and beneficial for people in similar circumstance to me – but not helpful for me. I have tried just about every supplements, natural medicine and some medicines under the sun with little benefit, no benefit or worsening. I am tolerating less and less foods and my body is literally wasting away. I have seen numerous doctors, integrative doctors, naturopaths, and nutritionists and I am always consider as an extreme case and never respond to therapy or treatment in a normal or predictable manner. Please can anybody give me any help or suggestion? I am so desperate. I realise that I need to get the good bacteria into my gut to improve my health but I simply can not tolerate probiotics or fermented foods. They make my health worse, my neurological / nervous system worse, severe anxiety and gut pain, joint and muscle pain and general health worse. My first suggestion is seeing a Naturopathic Doctor. See the website of Dr. Timothy Gerstmar. Die off can cause anxiety and depression symptoms as well as joint pain. I went through it myself. Many times you will get worse before you get better. Also you may have an overgrowth of intestinal yeast. I am currently being treated for both, an overgrowth of bad bacteria and yeast. A comprehensive stool test will detect both but you must go through an ND or an MD who treats causes and not symptoms. Check out Dr. Gerstmar’s website. If you are out of the area, he does consulting over the phone. I currently see a Naturopathic Doctor. I have had the full gamut of testing including comprehensive stool tests. Over the past 5 years of solidly devoting my entire life, money and resources into trying to improve health I have gone from bad, to worse to extremely sick. I follow strict diet and have tried just about every supplement, food based supplement and some medicines under the sun to find they either outright make things worse or improve one thing and make something else very much worse. I have tried commercial and homemade probiotics – D-lactate free, single strain, multi strain, food based powder/liquid, milk kefir, water kefir, sauerkraut and they make my health worse. It isn’t just a short term effect either. After taking any probiotics I need to kill them off with herbs or alkalise my gut with bicarb to get some relief from the gut pain, extreme neurological and nervous system symptoms, joint muscle pain and complete loss of energy and strength. I understand about die off reactions but this is becoming increasingly worse over the past 5 years – not better. My tests are coming back worse each time despite following very strict protocols. If I were you, I would consult with Dr. Gerstmar. Ask for an introductory consultation. Usually it’s 15 minutes and free-of-charge but confirm that with his office. You can send him your current test results. He may have a different interpretation of your test results. He will save you a lot of time and money! I went through much of the same thing you are going through, emotionally, physically, and financially. I saw many doctors who did nothing except charge a lot of money. He is no non-sense and will get to the bottom of your illness. Don’t think there isn’t a solution, there is. You just need someone to help you identify it. Dr. Gerstmar will do that! As you can see, I am a very satisfied patient! I am really sorry it has taken me so long to respond. I have been very unwell. I was put on antibiotics a year ago (as a desperate last option) which I reacted to very severely and my health is an even worse mess since. I am not tolerating any supplements and most food as well. In some ways I am better off for not taking the supplements, many which were making my digestion worse – but my health is very poor. Having said that… the one supplement I do take is digestive enzymes – the improvement is very very minimal and seems to be wearing off as time goes by. Symptoms and health in general have a cycle of slightly better times and worse times, but it does not take much at all to make things worse. I am house bound and dependent on others to provide my everyday needs. I’m really doing nothing at all towards my health other than trying to rest, as my body simply is not tolerating anything which I swallow natural or otherwise. I feel that the antibiotics has broken the last straw in my body. I am really sorry to not be able to share happy news or suggestions. There are people who have had their health improved or recovered… unfortunately I have not been so lucky. I think the only thing left for me is a miracle. The only advice I can give you is to listen to your body and find what works best for it. Always keep trying to learn. All the very best for your health and recovery. Jason, you said that you have a bad reaction to fermented foods and you are suffering from nervousness and anxiety and you are losing weight. Please ask your doctor to administer a plasma metanephrines test. This is a screening test for a rare hormone producing tumor called a pheochromocytoma. It is unlikely you have such but your symptoms might be due to that. If you have headaches and high blood pressure, coupled with your other symptoms, it would make that condition more likely. In any case, the test is just a blood draw and would rule out that possibility. Jason – Please do post back here if you get good results as I can relate to you exactly. I thought probiotics would sort me out, but now I am without hope again. Good luck. I was wondering if you had considered histamine intolerance? A low histamine diet might help you. Here is some information on my blog about histamines: http://www.familyhomehealth.blogspot.com/2014/04/waking-too-early-and-liver-health-low.html and here: http://www.familyhomehealth.blogspot.com/2014/05/low-histamine-low-oxalate-and-liver.html. I have more histamine related posts under the label low histamine. My histamine pinterest board might help as well-http://www.pinterest.com/momofce/histamines/. Here is part of my story:http://www.familyhomehealth.blogspot.com/2014/06/food-as-medicine-for-incurable.html. I know this was posted some time ago, and I hope you are already doing better. I thought of one more thing. Your symptoms could be from glutamate toxicity. Here is something that might interest you-http://unblindmymind.org/. She also has a list of free glutamate containing ingredients on that page. Basically avoiding glutamate cured her daughter’s autism. jason-have you tried D-lactate Free Probiotic Powder by Custom Probiotics? It addresses the specific issue of people with high d-lactate. I know you have gotten tons of great paths to explore here. I have 2 more I would suggest. One is CIR. Chronic inflammatory response syndrome. There is an online visual test you can take and if positive there are special doctors who treat this. Google it and you will get a ton of stuff. The other, which you probably have done already, the Tri Test Mercury toxicity…or perhaps other heavy metals. Also have you had you vitamin and minerals looked at on the cellular level. Specifically B12. Your blood serum is not a good marker. My serum shows normal but my body actually was depleted because I have methylation problems. Look at the Spectracell or something like that. Some insurances cover that one you just might have to bring it to your doctors attention. Ham g in there. I have a very similar situation. I would like to get in touch with you so that we might discuss our cases. I can be contacted via email at AnnieCarder82 AT gmail.com. Hey I realize this is a very old post but have you tried d-lactate free probiotics? It’s expensive but Custom Probiotics has a d-lactate free version that you can try. I’ve used them and I find them to be pretty good. I have just come across your blog today and am wondering if the kefir I am on is causing my joint and muscle pain! I have Crohns disease and I am on biologics. I think I will take myself off kefir for a month and see if there is any improvement. I have just seen a neurologist and had various test done but he found no cause for the pain I am having in my hands particularly or the muscle weakness. (Can’t get out of the bath or get up from the floor). Hope you are feeling better as this blog was two years ago. have you looked into yeast / fungas overgrowth? Have you been able to find a doctor to give you fluconizole? If not, try it. I twitching, cramps, pain, fatigue, vision issues, rashes, GI issues, joint pain, sinus pain, food intolerance and more. 30 days on the anit fungal took most of the symptoms away and reduced the symptoms of all of them. unfortunatly, i was taken offtoo early andstill deal with symptoms. I am looking for a doctor to try the anti fungal treatment again and stay on it for 30-90 days. let me know if you have any luck getting a doctor to prescribe this to you, most wont. I would like to know how to get the Diflucon or Nystatin for this. I hear they can kill the yeast/fungus. Thanks! Just reposting as I didn’t tick the box for notifications! A favorite probiotic/prebiotic supplement of mine is Prescript-Assist which is a soil based probiotic formula. I found it very effective for supporting my digestion. Something like this has happened to me after taking raw probiotics. First in the pill form and then the week long cleanse which had 400 billion per dose, 34 diff strains. I have ADD, anxiety/depression, mild ocd type symptoms, chronic fatigue issues etc. etc.. This brand seemed to give me tons of gas and made me very irritable and depressed. I’m not usually an angry person. I thought it may be “die off” but I think its lasted too long with no benefits. It took me a while to finish the first bottle as I wasn’t disciplined about taking them. I finished the cleanse in a week. I went through a couple bottles of mercolas probiotics last year and took acidophilus many years ago briefly(with no side effects and no noticeable benefits). My diet isn’t always ideal but I try to not make too many bad choices. The best Ive ever felt was on a paleo diet but I find it too difficult to maintain. As I don’t like to cook much or spend a lot of time on food prep plus it’s expensive and I’m exhausted all the time. Plus i’m a student again now so I find it nearly impossible. I just try to stay as gluten free as possible now since that seems to give me a lot of gastro distress as well….. Anyway, this was interesting to see. Thank you. Americans seems to be the most worried and most sick in the world. Soon science will come to the conclusion thay body and mind and possibly spirit is connected. If we worry body creates chemicals which is bad for us. Mind affect us , now some wont agree but 80% or more is subconscious and unless you can open that up you cant say for 100% mind is not affecting us. American mega dosages actually makes you more sick. So you need more pills to balance and later you become like gmo food. Mn thought he can create better food for profit but your body does not know what it is, like gmo rice your body is hungry after an hour instead of full all day. Because man think he can create better than the creator. If you think you lack so will be. Never wonder how some can survive cancer when doctor said they will die for sure? Because their mind didnt give up, thats the power of our mind. Thanks again for an insightful article! My son can’t cope with many probiotics or fermented foods. I’ve tried and tried but it doesn’t matter how I keep them up, his behaviour and mood just deteriorate on them. I’ve spent so much money on various types of probiotics and eventually I came to the conclusion a while back that it was a d-lactate problem. The kids who have a d-lactate problem also tend to do badly on starchy foods and my son has the same response to eating potatoes or grains as to having probiotics containing acidophilus. I’ve given up on fermented foods for him and only give him Saccromyces Bourlliardi, GutPro and sometimes Prescript Assist. Sac B is my fave as it has lots of studies supporting its effectiveness and he seems to do well on it. Thank you for this post. I am currently being treated for a yeast infection and have never had the experience before. The corners of my mouth split and my lips peeled. Being ignorant about all of this and after wondering how I got it, it struck me that I am on my second box of Probiotics and thought there may be a connection – now to read all this. Am I correct to question if it is the culprit? It does have Lactobacillus acidophilus and I have a Graves Disease and a leaky Gut which I am working on with a Paleo diet. Thank you for your info. You are B-vitamin deficient, specifically B-6 and B-12. Taking a B-complex should heal the split lips, which is a symptom of deficiency and help heal the overall yeast infection. Would you you mind telling me which probiotic you give to your little ones? Prescript Assist? Gut Pro? Another brand? Hi Cate, I give them about a quarter of a Prescript Assist capsule, and sometimes GutPro if we are not eating a lot of fermented foods at the moment. Thank you so much for getting back to me:) Do you give the same amount to your little guy? My kids are similar ages to yours 5, 3 and 9 months. Did you start out with less than that and work up or do you feel that a quarter capsule is a good place to start? Did they have any die off when you introduced it? I know you are incredibly busy. I have no idea how you do it, actually:) I hope you won’t mind helping me out for a second, though. I can’t seem to find an answer anywhere. My baby is having constipation issues and I’m planning to start him on prescript assist. He’s was exclusively breastfed until solids and now eats a strict whole foods diet with FCLO. Never had any antibiotic, meds, etc, but is still having eczema and constipation issues, which I know indicates gut issue. I’m nervouse about die off reactions even though his toxic load should be low since we work so hard to avoid them. Just wondering if you give it to your little man and how much you started out with? Did he have any reaction at first? Do you think taking probiotics during pregnancy is safe? I know my gut flora is messed up. I’ve been taking probiotics but I think they may be the cause of a skin rash I have. My main concern is my little one. My doctors don’t know enough about probiotics to offer any advice. Thanks so much for any advice you may have! Hi there. I have been suffering from left abdomen pain, nausea everyday, dizziness, confusion, fatigue, and inability to concentrate for the past 3-4 months. It has gradually gotten worse by the day, to the point where I can almost not go to work anymore. I had a colonoscopy/endoscopy and they said everything was fine except for a bit of acid reflux. I was left lost and searching for any possible answers to what is doing this to me when I found this article. I have been taking Custom Probiotics ever since around the time this all started happening. I recently switched to VSL3 last week and it seems to all have gotten worse. I never knew about Lactate and the fact it could be harming me. I’m almost positive this is what is effecting me. My question is, what do I do if I have it? I stopped taking the Probiotic today. Is that enough? Is there anything else I can do? Please help. Did you feel better after you stopped taking the probiotics? I am taking custom probiotics and like you described. Im curious now. My kids take therbiotic infant formula probiotics. They don’t seem to have any issues with them. Is that supposed to be a good brand? So I gathered that GutPro is the brand to go with from the conversations in the comments while my baby sleeps (lol). Is this something you would give a 15 months old or is it for adults only. I used HMF natogen on him when he was a baby and he was fine actually his gas seemed to get better on it and I use garden of life with on an off symptoms I cannot tell if its from it but I would like to give a great brand a try and also check with my naturopath on it.. she likes to learn stuff as well from me 🙂 or her patients. Does gut pro produce more d than l lactate? I believe that if all commercial and OTC probiotics are not working well for you, you should go for practitioner grade probiotic blend such as MicrobioMax Yogurt Blend. I am giving it to my son with Autism too and my close ones are taking them to counter 1st stage cancer. (the highest in the world) and the best part is expect NO manufacturing errors…because you basically ferment your own probiotic yogurt, these are live dehydrated bacteria we are talking about and should be well kept in suitable temperature at all times. I always believe Probiotics are sensitive supplements and should NOT be seafreight (the heat will kill all things good) by manufacturers which many does that, causing the efficiacy level to drop almost by 80% leaving you with contaminated probiotic capsules which does not work and in return, you get more side effects! Fast Absorption when taken fresh and it only last a week and make a new batch every week! I am lactose intolerant so this is perfect for me where i get to sieve out the casein from the fermenting process so i don’t get bloating tummy or vomiting. Give MicrobioMax Immune Blend a try! I know this is an old post but I wanted to personally thank you for it. I’ve been on and off probiotics for the last couple of years. Medical and natural health professionals kept advising me that I needed to take them. However I constantly struggled with taking them and always experienced headaches, irritability, and moodiness. I tried a variety of products to no avail. I had no clue why I experienced the side effects that I did (and neither did the professionals). I stumbled onto you article and eventually tried a probiotic which is lactase free. Needless to say the side effects are gone – no more irritability or headaches. Had it not been for your article I would have tried to suffer through on probiotics or given up entirely. Once again, thank you, because you have made it possible for me to continue supplementation without the suffering while allowing me to reap the benefits. Heather, do you have the link for the study done with the little girl given probiotics between 4 and 18 months? The link doesn’t work and I couldn’t find the article when I tried to look it up on the website that the link led to. My daughter was given a very high dosage of probiotics by our naturopath — he said later that gave us both the same pills, just for the sake of ease. She developed a few transient tics. A neurologist just kind of shrugged about them. Her breath started to smell like grapefruit, which I thought was strange. I didn’t think much of it, really, but later did some research and came across your article in the process. I also looked a bit more at acidosis information, which indicated that acidosis can cause fruity breath. I gave her some baking soda. The grapefruit smell went away. Later, her breath smelled sweet and, at least twice, I gave her baking soda and it went away again. I took her off the probiotic somewhere in there. The tics gradually subsided, but seemed to be worse when she went swimming — one of the recommendations for dealing with neurotoxicity is to avoid chemicals, so that seemed to piece together for me. Maybe she really does have neurotixicity. There was a 3-4 month period when she didn’t swim, and during that time, the tic disappeared. Then she started to swim again and now the tic is returning. What has me completely freaked out now, is that she is due for major surgery, which, based on what I have researched so far, can cause neurotoxicity all on its own. If she already has it, this can’t be good. I will ask the anesthesiologist about my concerns, but I’m afraid I will get dismissed as a quack. Does anyone know anything about this? Should I be worried? Is there anything I can do to protect my child? I’m on a hunt for something very similar. I came across this post because I had been researching probiotics to give to my 4 month old, who has a genetic predisposition for autism (want to be very cognizant of the gut brain connection), as part of a detox. After he underwent general sedation for an MRI recently he had some mild and seemingly temporary regressions which i think was the result of an increased toxic load in his body. Long story short – i’m working on my “medicine cabinet” for the next time he needs to be sedated so i can better help his little body detox from all the unwanted yet unfortunately necessary toxins, which is where probiotics come into play. All that to be said – following this thread to see if anyone is of any help! This a really good post on a subject that is fairly new. I know because I have D-lactic Acidosis from taking probiotics and am also a CFS patient with IBS, fructose malabsorption, endometriosis, Pyrolle Disorder and MTHFR gene mutation. I was actually diagnosed with a lactobacillus overgrowth (what you refer to as an invasive infection) 2 years ago after a trip to Fiji brought on terrible IBS, which is what eventually led to the CFS. At first I thought I must have gotten a bad pathogen in Fiji, which led to this imbalance, but now I’m wondering if previous laparoscopic surgeries for the endo, damaged my bowel and made it weak and susceptible to Lactobacillus overgrowth. In any case, I also believe that it’s important to get tests done before taking strong probiotics if you already have digestive issues and/or CFS. Blindly treating gut problems with strong probiotics led to a lot of trouble for me, chasing my tail and spending thousands of dollars trying to get a diagnosis and treatment. The frustrating part is that I didn’t pay enough heed to the overgrowth and recently allowed my gastro to prescribe me hospital grade probiotics to treat SIBO after, you guessed it, laparoscopy to treat the endometriosis. I had actually been making progress and now, 2 months after starting these probiotics the old symptoms of intense fatigue, confusion, ataxia, uncoordination, body pain and headaches have returned. I just threw out the probiotics after reading this post and having an Aha! moment. So thank you! This post is absolute gold and came at just the right time when I was losing hope again. It’s over a year old, but still so valuable! I’m desperately looking to talk to someone facing these issues. I’m so very sick- all brought on by a probiotic. Would you be willing to contact me at AnnieCarder82 AT gmail.com? 23& me said I have on SNP C677T / rs1801133 AA on SNP A1298C / rs1801131 is TT. Since beginning probiotics my depression, anxiety and OCD are at extreme levels. Almost unmanageable. I have a child that is dual diagnosed with Down Syndrome and Autism. I’m not sure I want to try this with him now. I’ve started my 7 mo old on kids probiotics but re thinking that now too. What’s your input? I have similar symptoms to everyone else but didn’t see much here as far as treatment for d lactate overgrowth other than d lactate free probiotics, B12, eating less carbs. Has anyone found other treatments that work? Do antibiotics make the problem worse? My son had formula with L reuteri and another formula with Bifidus BL, until he was 3yr …any of these it’s bad? Neurotoxin? For anyone dealing with massive problems after taking high dose probiotics such as histamine intolerance, eye problems (such as one eye pointing outward/down etc. ), hypersensitivity to allergens that normally do Not bother you, and strep throat – here’s what helped me not die when I took high dose probiotics and developed all the above symptoms (and BTW there was black mold in my house that I didn’t know about until after taking the probiotics – which caused chest and arm pains, and electrolyte imbalance). Vitamin C – this helps DAO production which helps eliminate histamines. NAC: Precursor to glutathione. Also helps your body switch from TH2 to TH1. Milk Thistle: Maximizes liver function, helps detox bad bacteria. Copper: You need copper to detox histamines. Gatorade: helps with electrolyte balance (black mold totally wreaks havoc on your electrolytes. Histamines also cause your aldosterone to be high which causes endothelial dysfunction which could potentially be lethal). Black seed oil: potent anti-inflammatory and antihistamine. Note: when the histamine intolerance first hit me, I also temporarily took some Allegra to deal with excess histamines – I quit taking it after about 4 days because I prefer natural supplements because **** big pharma.